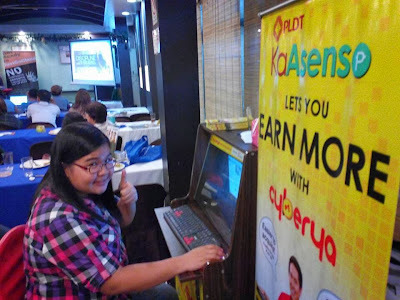 I first heard about PLDT Cyberya Negosyo from my friends who attended the Work-At-Home seminar last November and I was intrigued by how easy it is to use and practical on the pocket too. So here's how it works- PLDT will provide you with this unit that includes a computer, games, and an internet package. All you have to do is feed it with money to be able to use it. So if you feed it with P10, you have a P10-worth of internet or gaming time. This is quite different from the usual computer/internet rentals where you will be required to avail of a minimum 30-minutes to 1-hour computer rental and you may even have to talk to the staff again if you want to continue what you are doing. 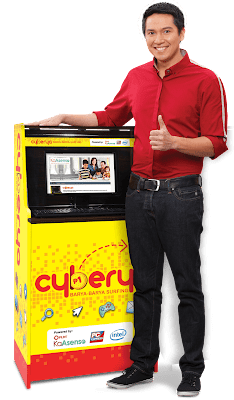 While with PLDT Cyberya, all you have to do is feed it with coins to be able to continue. Very hassle-free. 1. Topping my list is the fact that I want to have my own home-based business. 2. I love using the internet. 3. PLDT will provide service warranty and tech support so I don't have to worry when it malfunctions. 4. No need to hire an assistant to help in running the unit since the customers can easily use it themselves. 5. It doesn't occupy much space in the house. For more details, please visit: PLDT KaAsenso FB Page.